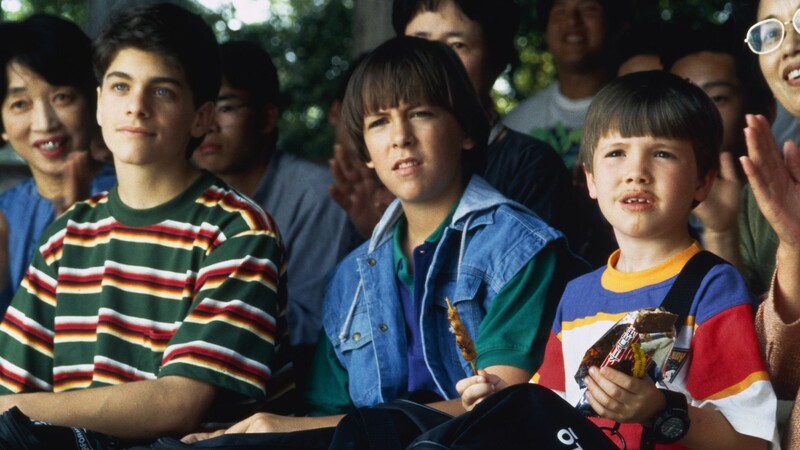 Краткое описание: You first saw Rocky, Colt and Tum Tum on the silver screen when their martial arts skills and extreme exploits saved the honor of Grandfather Mori and defeated an evil arms dealer. Now, it’s up to you! 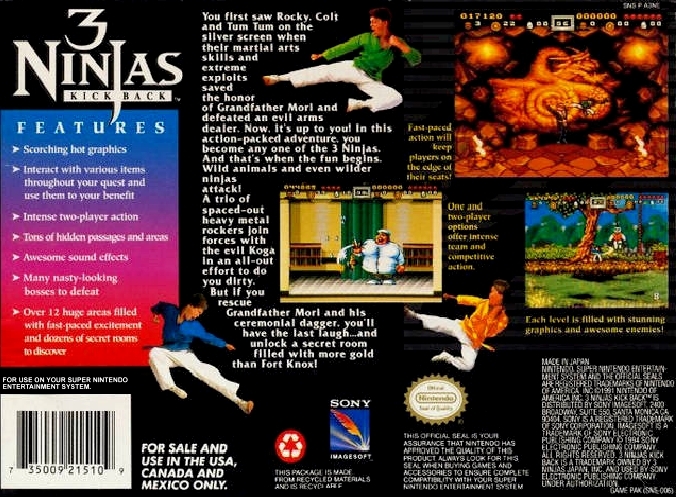 In this action-packed adventure, you become any one of the 3 Ninjas. And that’s when the fun begins. Wild animals and even wilder ninjas attack! A trio of spaced-out heavy metal rockers join forces with the evil Koga in an all-out effort to do you dirty. But if you rescue Grandfather Mori and his ceremonial dagger, you’ll have the last laugh… and unlock a secret room filled with more gold than Fort Knox! 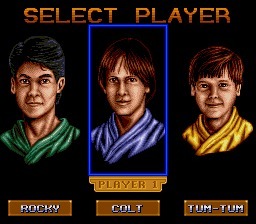 You first saw Rocky, Colt and Tum Tum on the silver screen when their martial arts skills and extreme exploits saved the honor of Grandfather Mori and defeated an evil arms dealer. Now, it’s up to you! 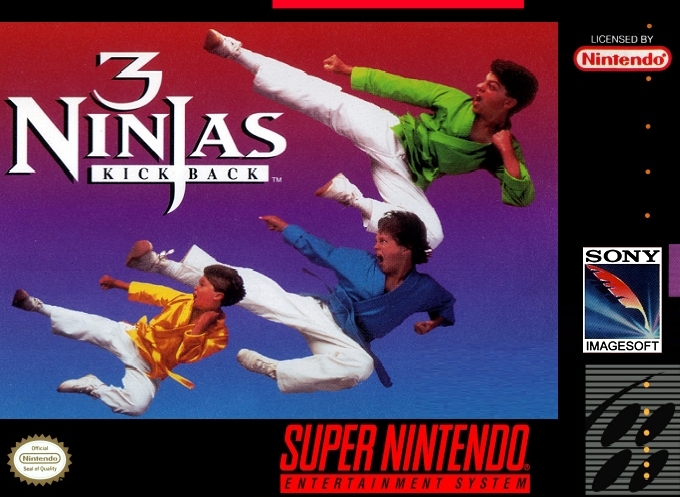 In this action-packed adventure, you become any one of the 3 Ninjas. And that’s when the fun begins. 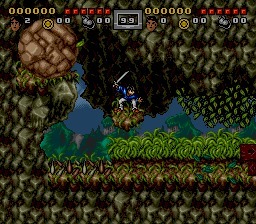 Wild animals and even wilder ninjas attack! A trio of spaced-out heavy metal rockers join forces with the evil Koga in an all-out effort to do you dirty. But if you rescue Grandfather Mori and his ceremonial dagger, you’ll have the last laugh… and unlock a secret room filled with more gold than Fort Knox!